Contains all the essential United songs: Glory Glory Man. United, The Manchester Football Double Willie Morgan On The Wing, Georgie The Belfast Boy, The European Cup's All Yours, The Manchester United Calypso and Rah Rah Rah For Man. 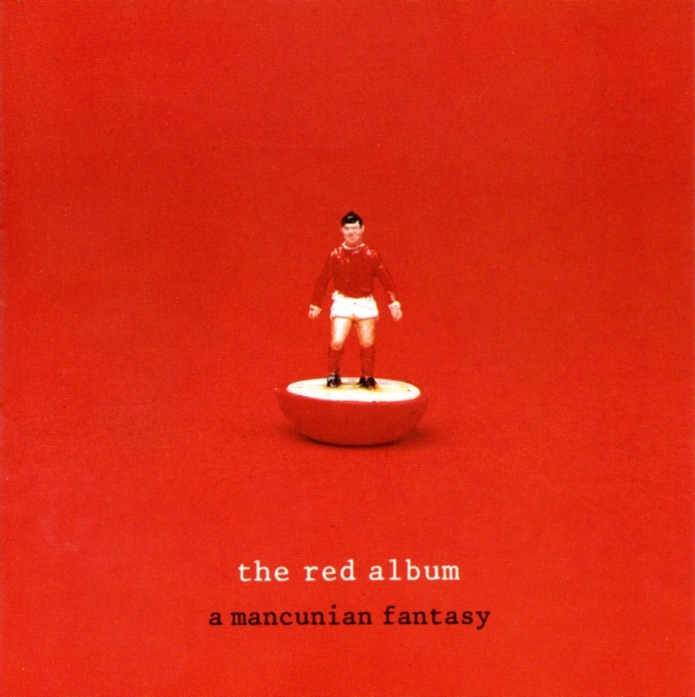 United as well as the modern classics, Georgie You've Broken My Heart, Cantona Superstar, Ryan Giggs We Love You, a specially recorded We Are The Champions and two songs previously unavailable Song For Matt Busbyand Denis The Menace. Between the tracks are historic comments and commentary with Bobby Charlton on The ManchesterUnited Phenomenon, George Best on Ryan Giggs and Bill Shankly on Matt Busby with further contributions from Tommy Docherty, Alex Ferguson, Denis Law, Kenneth Wolstenholm, John Motson and Barry Davies. "A whole album's worth of sub-cultural high points" - W.S.C. 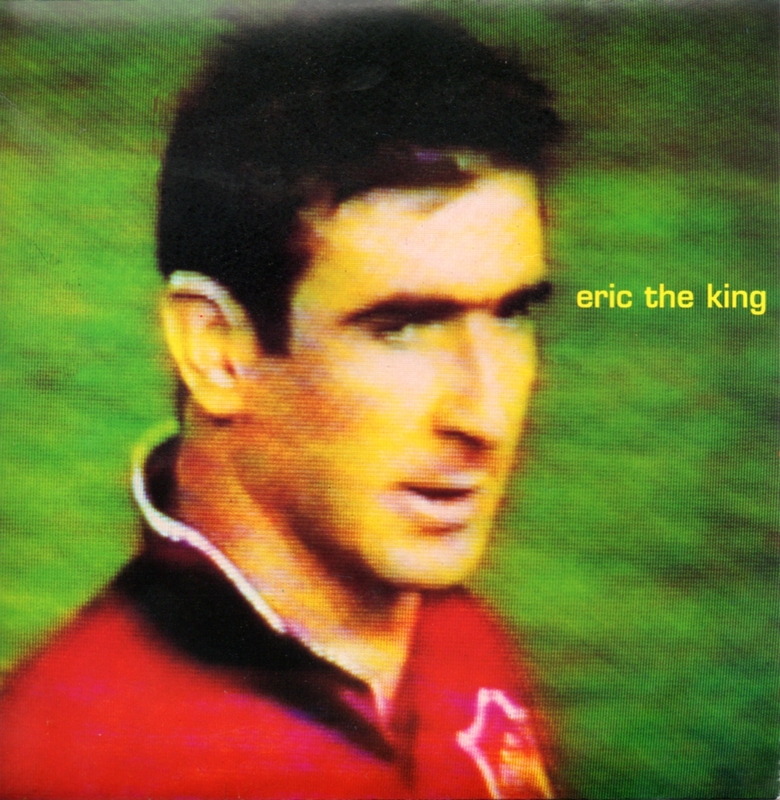 OOH-AH, ERIC CANTONA/ ERIC THE KING. This single reached no.82 in the National Singles Chart. Track 1. The K-Stand featuring Pete Boyle "We're All United"
Track 2. The K-Stand featuring The Salford Jets "Who You Looking At?" Track 4. The K-Stand featuring Pete Boyle "United Medley Mix"
Features: Maybe It's Because I'm From Manchester/ She Wore A Scarlet Ribbon/ We're On TheMarch With Fergie's Army/ We'll Be Running Round Wembley/ Que Sera Sera/ Thank You Very Much For Cantona/ Eric The King/ We Shall Not Be Moved/ What A Friend We Have In Jesus/ Manchester Boys/ Ryan Giggs. 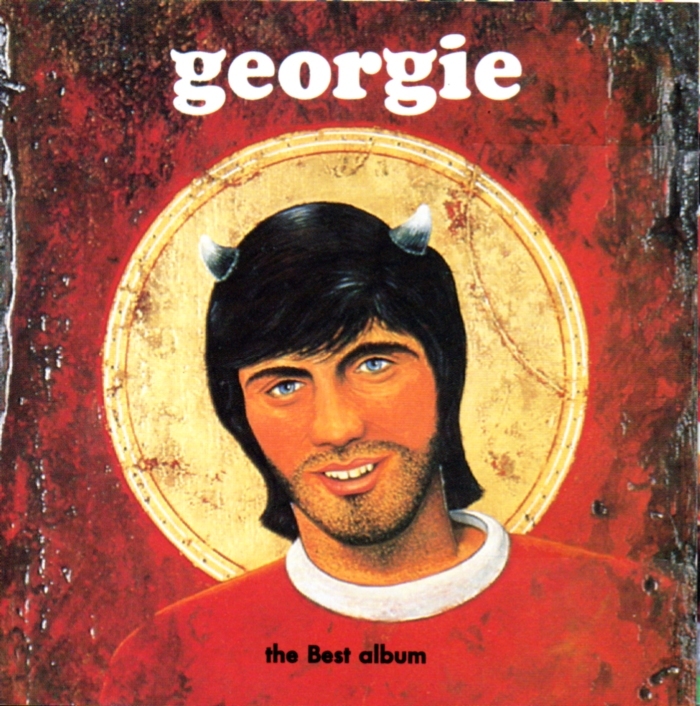 One hour's playing time devoted entirely to the genius of George Best. 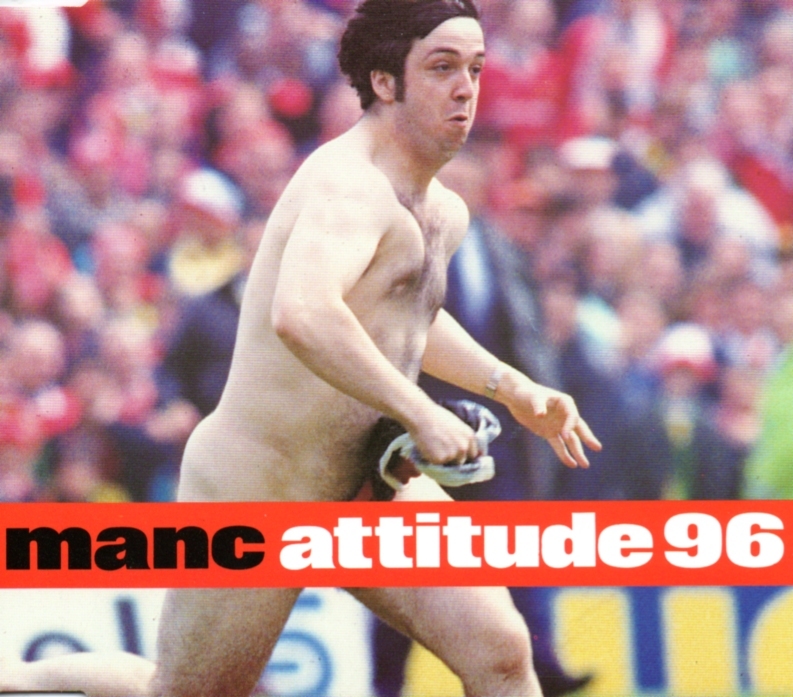 25 tracks including commentary, dialogue, interviews, adverts and goals! Featuring: Belfast Boy/ Echoes Of The Cheers - DON FARDON, The Ballad Of Georgie Best - BAND BEGGARS, I Wish I Could Play Like Georgie Best - THE NEW STRIKERS, I Love Georgie Best - THE DEVOTED, Georgie - LUCY, You Can't Keep Georgie Out - DR. SKOOP, Georgie You've Broken My Heart - HER, Georgie Boy - BRIAN WALSH, Golden Feet - RED DEVILLE, I'm Not George Best - MARTIN NEWELL, When Georgie Died - LOUIS PHILIPPE. "... A colourful, passionate documentary of greatness in all its beauty, glory, tradegy and farce... the best BEST album in the world... ever"(9/10) - Johnny Cigarettes N.M.E.